Our Digital Printing department contains 5 digital printing presses: 2 colour, 2 black and white and 1 large format. All 5 of these machines are kept running by our digital printing press operator Shaun. 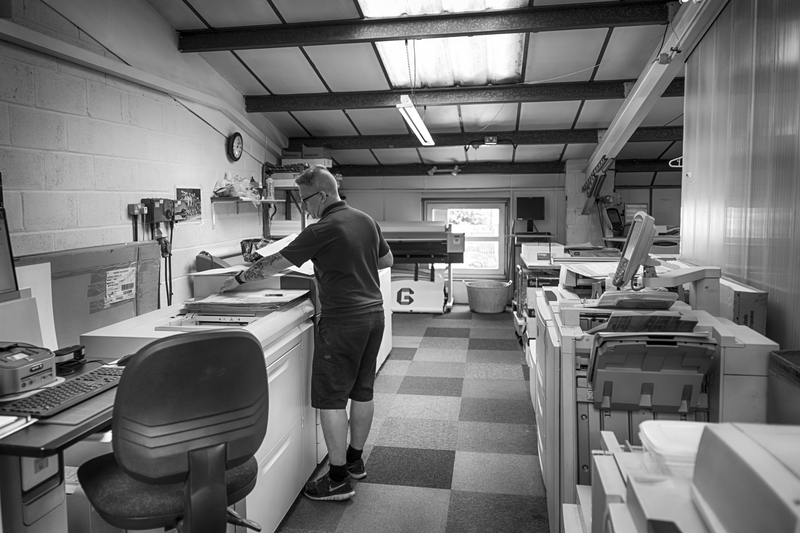 Shaun utilises his 33 years of print experience to ensure that customers are receiving products that are not only what they expect but also excel their expectations. Before moving into the relatively modern development of digital printing, Shaun worked on reproduction of high detail paintings and drawings and is a specialist in re-touching scanned artworks. Shaun is covered when away by our Production Director Greg, who himself has 26 years of experience in print. When both Shaun and Greg are working they combine their knowledge and experience to overcome almost any obstacle that is presented.